When your dog barks, the PetSafe Ultrasonic Bark Control Collar emits a tone to interrupt your dog's barking - but you can't hear it. It’s inevitable, dogs are going to bark. We hear from our consumers regularly that controlling barking is a MAJOR issue for them and often a barrier to enjoying their time with their dogs. We also understand how challenging barking can be to control. My furry little girl, Lilly, talks a lot - at her own reflection in the window, if she thinks she sees something outside when there’s actually nothing there, and if someone walks by she just feels the need to yell “HEY!” as loud as possible. We encourage pet owners to work to understand why their dogs are barking when choosing the right bark solution. But we were also interested to understand our consumer’s issue with barking too. We all want our homes to peaceful and we don’t want our dog’s behavior to reflect poorly on us as owners. We were not surprised that most of our IHUT participants wanted to control barking when they are home and/or when they have visiting guests. We were excited to see how the Ultrasonic Bark Control collar works for them in these specific circumstances. And it performed great! 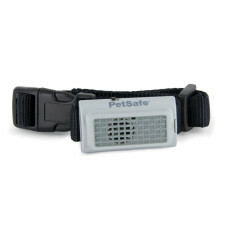 The Ultrasonic Bark Control Collar works by using an ultrasonic tone to deter barking. When the collar’s microphone detects the sound of your dog’s bark, it immediately emits an ultrasonic tone. While the ultrasonic tone can be heard by dogs, it is unheard by most humans. This is great news, because the last thing we need when our dogs are barking is even more noise. 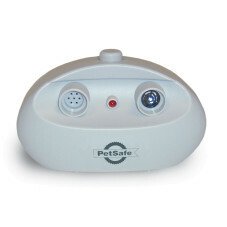 The ultrasonic tone is a safe yet annoying sound for our dogs. The collar starts with a low tone when your pet starts barking and elevates if they continue. It continues to vary the tone every time your pet barks, so he doesn't know what to expect or grow accustom to the tone. Our research participants represented a very diverse group of dogs, breeds and sizes, ranging from 8 lbs to 110 lbs. All of our tester dogs were also very enthusiastic barkers! Regardless of breed or size, our talkative testers responded well to the Ultrasonic Bark Control Collar within just a few days of wearing the product. Our participants saw a clear change in the amount of their dog's barking when they wanted to control it. The type of bark collar you should choose is most dependent on your dog and your goals for bark control. We are excited to offer our consumers the Ultrasonic Bark Control Collar for those dog that are a little more timid or less stubborn but for owners who still want to control excessive barking. There’s always a time and place to be talkative and loud – your house is not one of those places and during your evening television show is not the time! If your dog is a loud mouth the Ultrasonic Bark Control Collar could offer sanity for you and deter nuisance barking for your dog. Do you want to control barking at the same times that our test group did? When does your dog bark most?